Car finance deals are becoming increasingly more popular own the UK as opposed to buying and owning a car outright. Ownership of a car is becoming less attractive due to the rising cost of motoring and intense depreciation some cars experience almost immediately. It makes some financial sense to not shell out thousands of pounds to buy a new vehicle outright and instead pay for a car in monthly installments. Ultimately these deals are flexible and can be tailored to each individual motorist depending on what they need, as long as they are clear about what they are signing up for. Products such as hire purchase and PCP also have the added benefits of consumer protection under the Consumer Credit Act 1974 – the same protection is not available when making cash payments. James Fairclough, CEO of AA Cars, digs into some of the less obvious benefits of taking out motor finance. When using your own money to buy a car it will ultimately massively limit exactly what vehicle you can purchase. The make, model, engine size etc may have to be compromised as a result. Motor finance often removes this ceiling as instead of a one-off lump sum, the cost of the car is split into more manageable monthly repayments. Breaking down the costs like this can help to bring a lot more cars within range of the buyer’s budget, meaning you probably don’t have to resign yourself to an old car with thousands and thousands of miles on the clock. In the fullness of time, taking out motor finance can actually have a positive impact on your credit history. Of course, there’s a big caveat to all of this – paying instalments on time can build up a great picture of your reliability to future lenders on your credit rating, but missing repayments will have the opposite effect. It’s worth noting that your credit score might go down, on initially being accepted for a loan but, after a few months of repayments, this picture will start to look rosier. It’s also worth considering that just enquiring about your eligibility for car finance deals can leave a footprint on your score. Certain websites, such as AA Cars, actually run a “soft credit check” so you can find out what products are available to you without leaving a mark on your credit history. 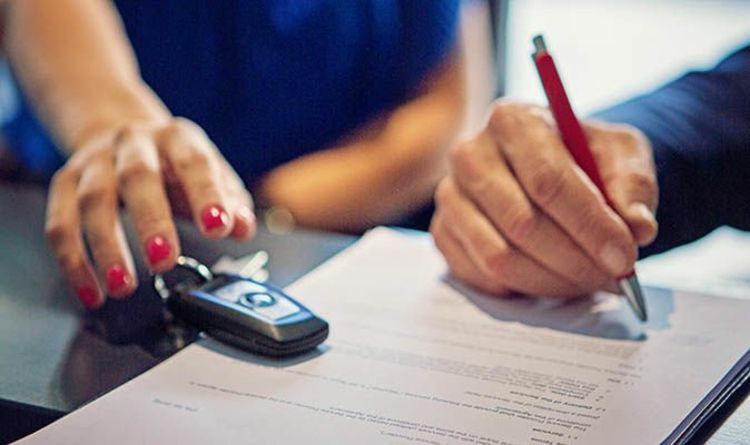 With a lot of car finance products, lenders will need an estimate the value of the car at the end of the deal – which is typically calculated using your expected mileage to estimate the value depreciation. This, again, can be a double-edged sword. Overshoot your anticipated mileage and you can end up paying some hefty per-mile fees. Undershoot, and the lender might decide that there is actually equity in the car, since it hasn’t depreciated as much as they initially thought. In many scenarios, this can mean you end up with money off your next car if you choose to upgrade, rather than buy the car outright. Depending on the finance product, there are a variety of options as to what you do with your car once the term ends. If you’re set on owning your car at the end of the contract, you might want to consider PCP or HP. PCP (or Personal Contract Plans) allows the leasee to own the car once they’ve paid off the lump sum at the end of the deal; with HP (or Hire Purchase) you will own the car once all you’ve paid all of the repayments. In the case of PCP, you can still choose to return the car to the dealer and upgrade to a new model, sometimes with equity (see above). There’s also the option of leasing the car with a PCH (or Personal Contract Hire), which might work better for you if you’re happy just to hand the car back once the term is over. January movies: New films out in January 2019 – What to watch at the cinema this month?